Last year I enjoyed the first DIEGO’S DRAGON novel (SPIRITS OF THE SUN). If you somehow missed that first book and delve right into this one, fear not, you won’t be lost. Author, Kevin Gerard, does a nice job of pulling in the original plot points into this one. The stakes are much higher now as young Diego must battle dragons to save the Earth. The fighting is fierce and the story may be best for upper MG. I found this second story in the series even more exciting. The dragons harness the sun for their power, and the leaders each have their own unique personalities. Written in third person, most of the pages center around Diego as he prepares to become a guide for the mightiest dragon. While Diego is learning, many of the in-between chapters have visits to the good and bad dragon worlds. You’ll no doubt be thoroughly engrossed in the proceedings right to the thrilling climax. The author also did something very cool in naming a few of the prominent dragons. He held a contest at local middle schools to let students come up with the names for the main fiery beasts. Through his preparation and writing the author is in tune with his audience. If you have a dragon loving reader in your household, give this one a try. FULL PLOT (From Amazon): A Prophecy, an Ancient Calendar, and a Battle for Earth’s Survival. The turning of the 26,000 year cycle is approaching. The fifth sun promises a time of peace for all creatures. Magnifico, Estrella, and the Sol Dragones eagerly await the new age. Vipero hopes to alter the ancient prophecy. 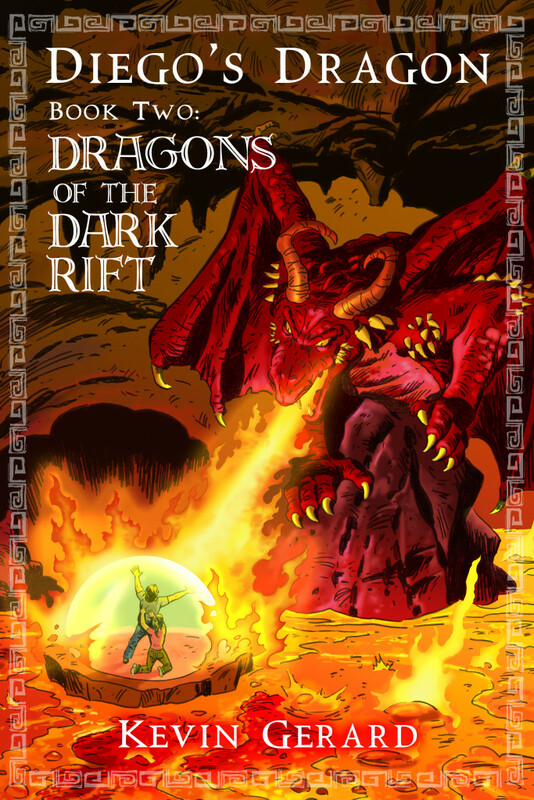 He orders the Dragons of the Dark Rift to find and eliminate the Sol Dragones. If they succeed, nothing will stop him from destroying Diego’s world and claiming ownership of Sol, a star with unlimited spiritual power. Diego and Racquel travel with their dragons to the Dark Rift, the entrance to the magical realm known as the Xibalba. Together with the Sol Dragones, they battle Vipero’s immense army in a fight to save or shift the Mayan prediction. The fate of earth depends on victory or defeat, and Diego is the key. His choice – to betray Magnifico or stay true to the Sol Dragones – will determine the outcome of the conflict. If you want diversity in main characters look no further. Diego is Latino and unique protagonist on today’s book shelf. You’ll be cheering for him all the way. Family life is also portrayed authentically with Spanish words and phrases mixed in. I could follow the dialog in context with no problem, but there is a handy two page translation guide at the back of the book. The shift from Diego playing soccer with his pals to being a guide in the dragon world was a perfect balance and made for an enjoyable connection. Family. Loving parents and a special bond Diego has with an older brother makes for what seems like a rare story these days with a family intact. Fire is used in both training and battle. Diego learns to not only shield himself from searing flames but also how to throw balls of fire. That should be enough motivation for reluctant readers to jump right in and read this one. Several full page illustrations are scattered throughout the story. They add detail and even more excitement to this epic tale. He kept his eyes shut tightly. He didn’t want to see the creature responsible for tearing his classroom to pieces. 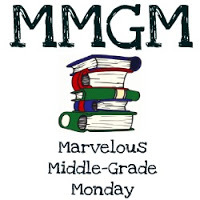 This entry was posted in Reviews and tagged Diego's Dragon, Kevin Gerard, Middle grade, Middle Grade Book Reviews. Bookmark the permalink. This sounds really good, especially because of the Latino influences. And Diego sounds like an awesome charracter. Diversity among the dragons! I love it. And what a great idea to hold a naming contest at the school. This does sound like a lot of fun. I have the first book but have never found time to read it. I do love the idea of the intact family and the Latino hero. I will try to check this out. Thanks for the review. I’ve been wanting to read this series for awhile. I love that it has a Latino hero and an intact family. There’s sounds like there’s a lot more to love here as well. Thanks for reminding me about this series! This sounds like a good series for a fantasy lover! Dragons always seem to capture a little mysteriousness along with their strength. Good to see diversity in a fantasy novel, too. Thanks for featuring it.